Looking for Used Cars in Birmingham, AL? Have you been driving your old sedan around Birmingham hoping it’s got just a few more miles left in it? Are you looking to trade up from your current vehicle but aren’t quite in the market for a brand-new one? Drivers in and around Hoover, Irondale, and Fultondale, you’re in luck—Brannon Honda is close by and offers a fantastic selection of used cars, trucks, and SUVs at great prices, from a variety of manufacturers! And that’s not all you’ll find here, either—you’ll also find competitive prices and friendly, knowledgeable associates who want to save you money and work within your budget to find your perfect car. Check out our pre-owned vehicle specials that can make our already-low prices even more budget-friendly. Whether you’re seeking a pre-owned sedan for everyday commuting around the Birmingham metro area; a low-mileage SUV that can comfortably accommodate family, friends, and gear at the same time; or a durable used truck for hauling and work purposes, you’ll find it at Brannon! Saving you time as well as money is important to us, so our website makes it easy for you to narrow down your options from among our giant inventory of used models. You can search within a number of parameters, including make and model, body type, price, and mileage. We even have an entire section devoted to budget buys priced under $10K! If you have a car to trade in and are wondering how much its value will help toward the purchase of your new-to-you car, just provide a few basic pieces of information on our Value Your Trade tool. You’ll get an instant estimate that will help you make a better-informed decision when it comes time to buy. We also have an on-site financing department that will work to get you approved for a loan quickly and easily, regardless of your credit history. Apply for financing online to save even more time. 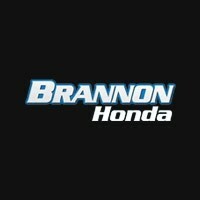 Brannon Honda’s shining reputation for top-notch customer service, excellent inventory, and unbeatable prices is well earned, and that’s why drivers from Homewood, Pelham, Mountain Brook, and surrounding areas come to us when they’re in the market for a new Honda or a used vehicle of any kind. We will work within any budget to help you find the car that meets all of your needs, and we’ll make sure that your car buying experience is smooth, easy, and stress-free. Visit our dealership, located at 300 Gadsden Highway in Birmingham, and see what Brannon Honda can do for you. We can’t wait to match you up with the pre-owned vehicle that is everything you’ve been looking for.